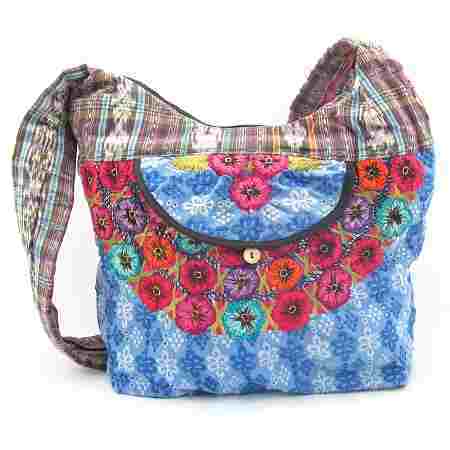 Eco- friendly and fashionable recycled Guatemalan purse. Produced under fair trade principles. HOT ITEM! 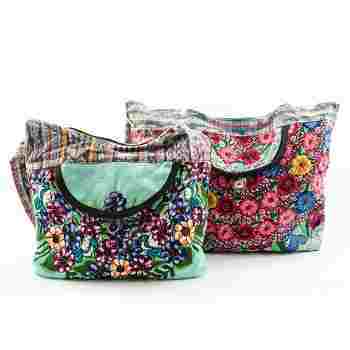 Each purse is uniquely designed from recycled hand embroidered and handwoven fabrics from the Mayan women's traditional dress.Fully lined with inside pocket. Front pocket. 15.5" L x 12h x 5.5 w. Strap is 36".